Most work in game theory assumes that players are perfect reasoners and have common knowledge of all significant aspects of the game. 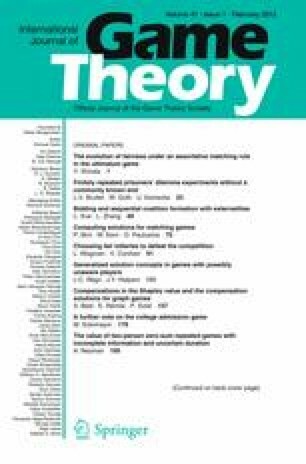 In earlier work (Halpern and Rêgo 2006, arxiv.org/abs/0704.2014), we proposed a framework for representing and analyzing games with possibly unaware players, and suggested a generalization of Nash equilibrium appropriate for games with unaware players that we called generalized Nash equilibrium. Here, we use this framework to analyze other solution concepts that have been considered in the game-theory literature, with a focus on sequential equilibrium. A preliminary version of this paper was presented at the Eleventh Conference on Theoretical Aspects of Rationality and Knowledge (TARK07).